AIS is a complex technology which is governed by a strict international technology ‘standard’ which is controlled by the IEC. This ensures that the integrity and operational performance of the AIS system and interoperability between AIS devices is guaranteed. AIS uses TDMA (Time Division Multiple Access) technology to allocate and share the available airwaves on the AIS frequency. The AIS standard states that there are a fixed number of these slots for each of the two AIS channels: 2,250 on each channel every 60 seconds, so a total of 4,500 every 60 seconds across both channels. 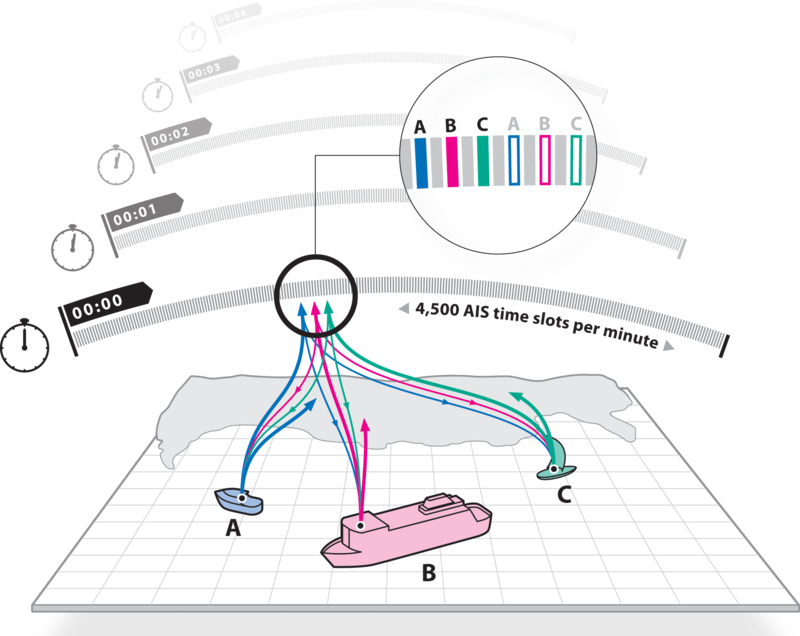 Each time slot allows a specific amount of space for the size of the AIS transmission which in turn is limited by the amount of information a single AIS message carries. The AIS system has been designed to offer local, regional and national level systems, as such the AIS system intelligently adapts itself to the number of vessels within a given area. If the ‘slot map’ were ever to become overloaded, priority to the slots is given to the closest vessels ensuring they are seen first. In practice this means that no matter how many vessels are being tracked a properly configured AIS system will ensure all vessels are seen.